Synopsis, Our Opinion: A delicious wine with lots of character. 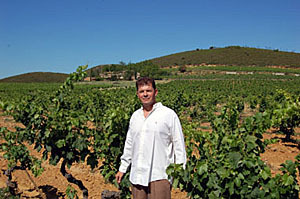 Producer/Winery: Bruno Laboucarié; Domaine de Fontsainte; Boutenac, France. 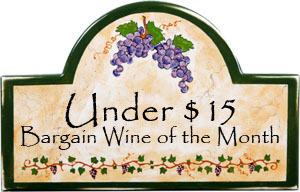 Grape Variety: Carignan blend – 60% Carignan, 30% Grenache Noir and 10% Mourvèdre. Geographic Appellation, Region, Country: Corbieres; Languedoc Roussillon, France. Paired With: Ground lamb pizza. Opened one hour before drinking. Dark ruby color with a light purple rim. Powerful damp earth, ripe raspberry, cherry and licorice aromas. Gamey, savory, medium to full body and a 80-grit texture. 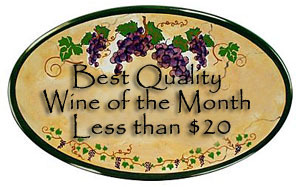 Robust ripe plum, blackberry, dark cherry, pepper and slightly licorice flavors. Lots of edgy acidity, firm well integrated tannins and a long spicy finish. 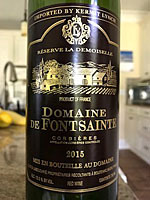 WOW…this was fragrant, mouthwatering and energetic wine. Perfect paired with the potent lamb flavors. A delicious wine with lots of character. Comments: Learn more about the Domaine de Fontsainte and their wines.